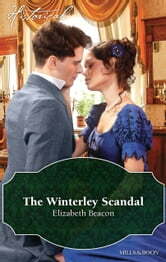 The Winterley Scandal | Rakuten Kobo. Ever since his father's scandalous affair, Colm Hancourt has lived life on his own terms. But then he comes face-to-face with Eve, the daughter of his father's mistress! It may have begun with a kiss that set tongues wagging, but could the latest Winterley scandal be the start of something special?